CYC Movers is our third client and has been with us for more than 2 years. Before they got to find out about Thinking Notes, they engaged an SEO company that focused solely on creating automatic backlinks on trashy sites. After one year, they couldn’t seem to move beyond the third page on Google’s search results. During that time, they also spent a few thousand dollars monthly on Google AdWords. One day, CYC Movers came to us as a referral through BNI. Even though the owner didn’t know me personally, he trusted us wholeheartedly after we had a chat. The first thing we did was to check on his website. The website was full of issues inside out: page loading was slow, information structure on the website was messy and the links were broken. There were even pages that were empty. Theoretically speaking, there were two things we could immediately execute at the same time: one, to fix their website or two, to disavow the bad backlinks. But we were quite new to offering professional SEO services and web designing, so we weren’t sure how the theoretical solutions are going to impact the website. We decided to approach it sensibly: test out the theories one by one to see the level of effectiveness of each solution. The first thing we did was to give the website an overhaul. While we were trying to rectify the website issues, we faced problems that we were not familiar with. We learnt as we went, trying to solve the challenges as they surface. Along the way, we also kept discovering better ways to build the website. In the end, we rebuilt the website twice before we were satisfied with what we’ve built, at no additional cost to the client. After fixing their website, the site ranking improved, but it remains stuck on page two or three. Typical users tend not to look beyond page one when looking for a vendor, so the improvement still amounted to nothing. We decided to examine each of their 2000-odd backlinks, of which almost 100% of them were bad. Even though many online sources say that Google ranking isn’t really affected by bad backlinks, we decided to disavow all the backlinks to see if that was true. We put together a list of backlinks we wanted to disavow and submitted it to Google. About a month later, our experiment paid off. CYC Mover’s Google ranking improved significantly, but we still weren’t happy. CYC Movers is still not at the top spot. We arranged for photo shoots and rewrote their web content at our own expense. 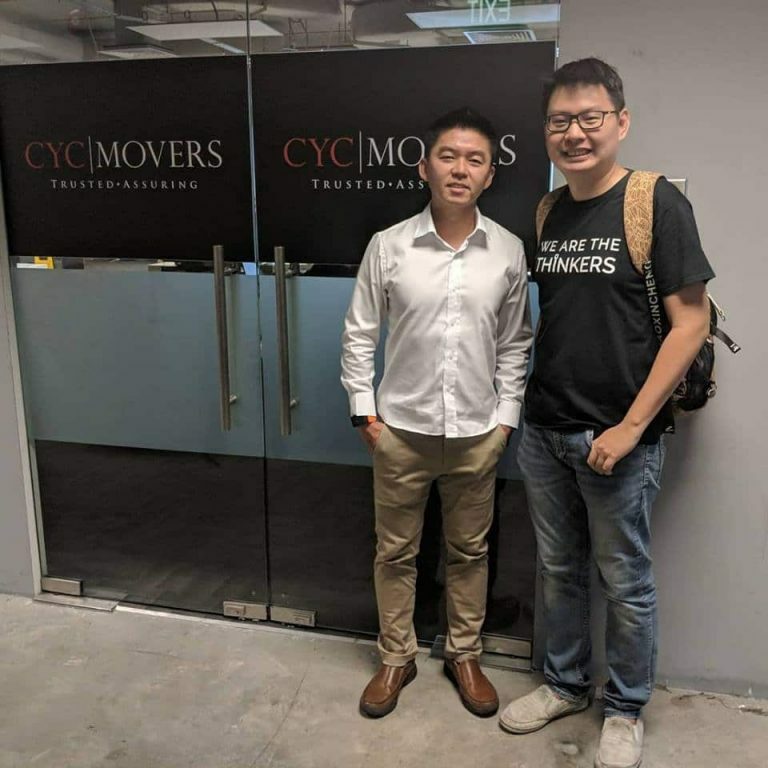 After the content revamp, CYC Movers continued to climb, clinching the top spot for mover-related keywords six to nine months after we started working on their website. Today, CYC Movers is the top Google search result in their industry. Despite that, we continue to improve the coding, refine the web design and optimise the SEO for their website to keep them on top.